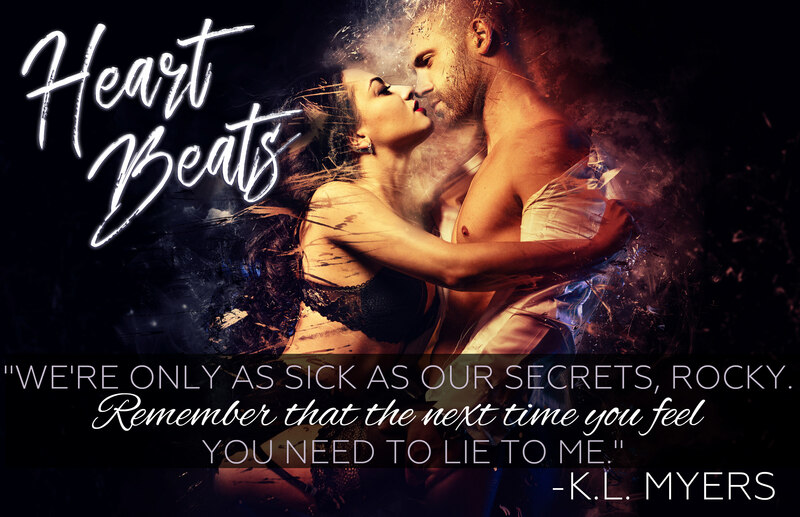 The Razor's Edge Series by K.L. 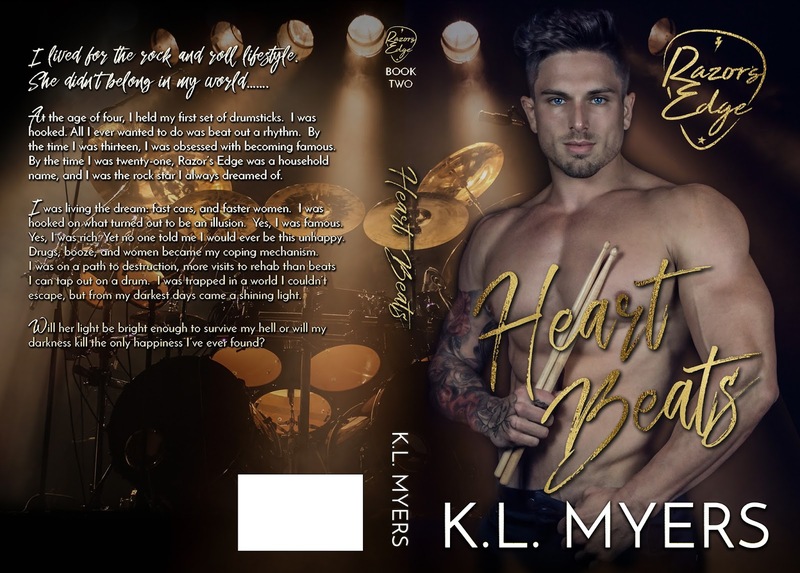 Myers returns March 26th with book 2, HEART BEATS! At the age of four, I held my first set of drumsticks. I was hooked. 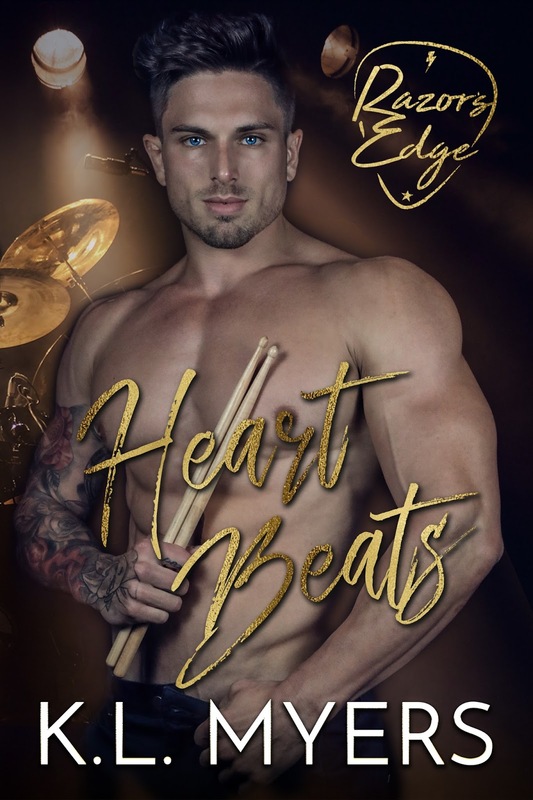 All I ever wanted to do was beat out a rhythm. By the time I was thirteen, I was obsessed with becoming famous. By the time I was twenty-one, Razor’s Edge was a household name. I was the rock star I’d always dreamed of. I was living the dream: fast cars, and faster women. I was hooked on what turned out to be an illusion. Yes, I was famous. Yes, I was rich. Yet no one told me I would ever be this unhappy. Drugs, booze, and women became my vice. counted more visits to rehab than beats I could tap out on a drum. I was trapped in a world I couldn’t escape. But from my darkest days emerged a shining light. or will my darkness kill the only happiness I’ve ever found? SHEET MUSIC: AMAZON Kindle Unlimited!